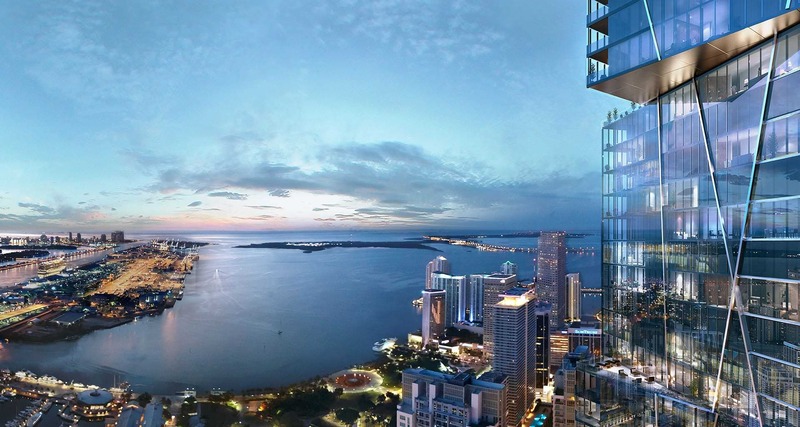 A sales center for the 300 Biscayne supertall tower is on track to be completed by spring. At the sales office and “experience center,” workers are new completing interior build out. An exact launch date for sales will be announced after completion of the sales center, according to co-developer Greybrook Realty Partners. 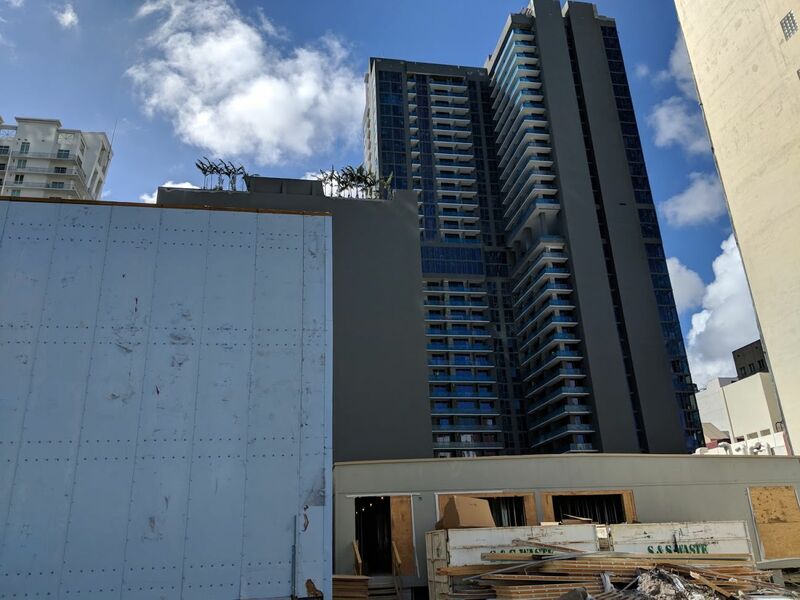 300 Biscayne is expected to become the tallest building in Florida, and the tallest residential building south of New York. 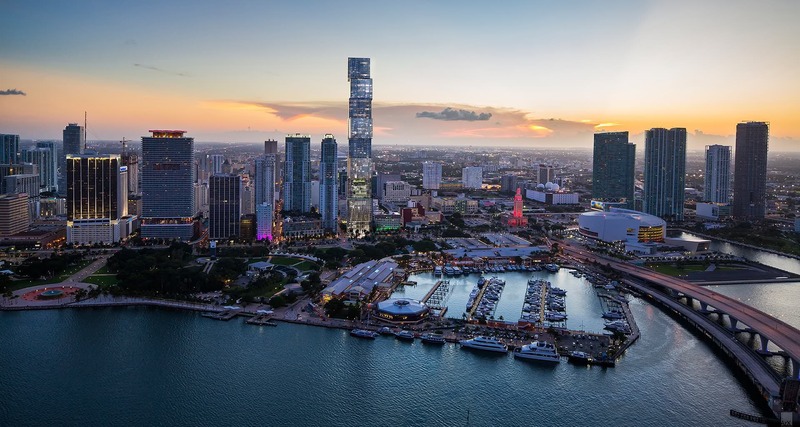 The project will include 640 residential units blended with a five-star hotel brand in a 93-story, 1,036-foot tower designed by Sieger Suarez. So many supertalls being talked about for years now. Can we have one built finally? 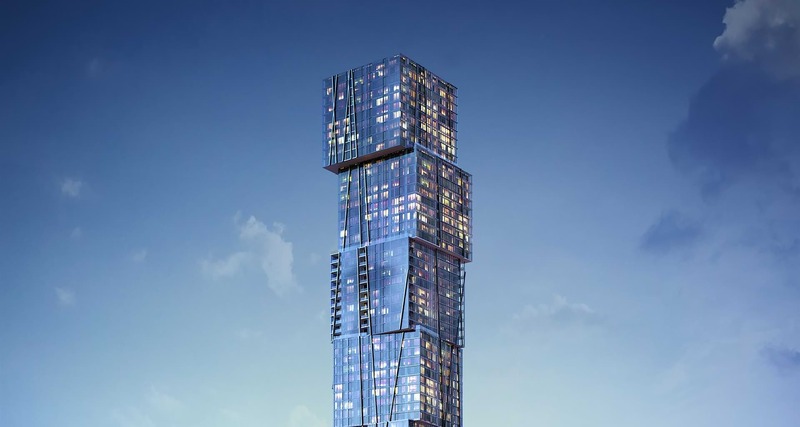 Panorama is about to open that was the first supertall building approved by the FAA. Anyone has info on when construction will commence ? or a timeline as such ? Commence and completion. probably Q4 2018 or Q1 2019 for commencement. Completion maybe sometime in 2023. You really think that soon? Q4 2018, or Q1 2019? The sales center does not even open till Q3 2018 the article says, they will need to make significant sales before they decide to tear down that sales center and start construction. 2 years out until commencement minimum. Wao it is going to look like Leonard 57 in Manhattan!!!! Leonard 57 looks like a giant live size game of Tetris. LOL. It does look like a tall Tetris game. 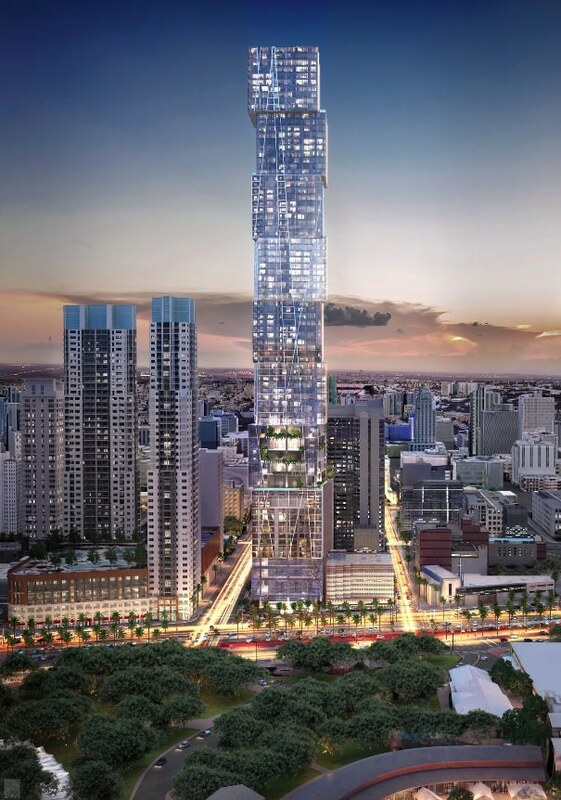 Leonard 56 reminds me of the tower Emilio and Gloria Estefan wanted to build. Whatever happened to that one? Not a big fan of the design. It’s been done before in so many other places, nothing unique or iconic. However, love the height, density and seeing another parking lot get filled in. Nice design. Any word if it has a massive parking garage attached? Of course, it’s built on a massive Miami 21 podium, just not highlighted in the renderings. Cheers. Incredible design, Miami needs more buildings like this instead of the cheap piles of painted stucco everywhere. Designed by Carlos Ott*, and a beautiful one at that! Keep them coming, PMG. Not with PMG. They announce, plan and deliver. Echo, Muse, Vice. etc. Show us the non-water side. I’m afraid the lack of renders will again reflect this building turning it’s back to the city as many buildings in Edgewater. There are rental apartments directly behind. As in, directly behind and in between 300 and the Metromover Station. Yea, I agree. For this location they could of done a better design. Something similar to Echo or Muse. ve the height, tacky building! 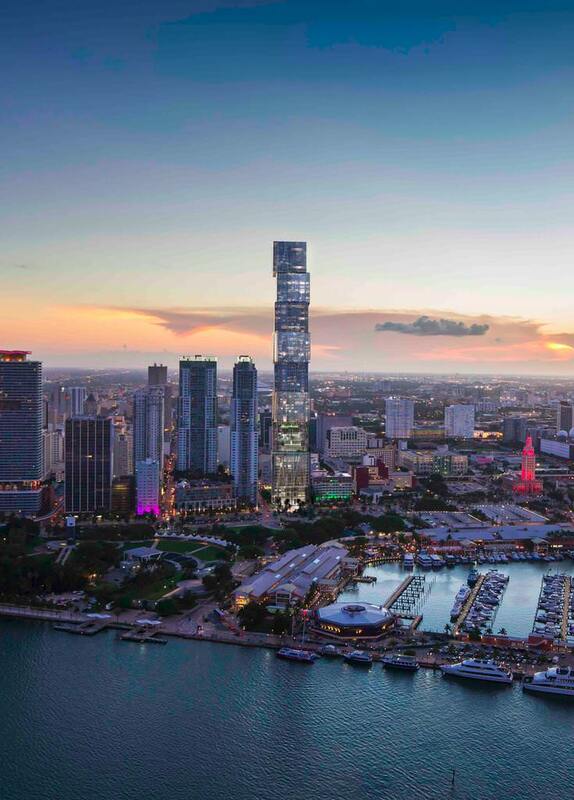 For once, can Miami get an elegant building that tapers to a spire at the top instead of the squared-off box third world look? That’s not a sales center. That is a multi year professional office for the developer. Amo las alturas, pero tengo miedo,no tener dinero. Para cuando se termina?. This will all fit on 1/4 of a small city block. they will have to launch at over $1000 a sft…good to see the market coming back! It doesn’t matter what anyone says. If completed this is an A+ Class building.